A lawsuit against the Trump Administration’s approval of Alton Coal’s mine expansion near Bryce Canyon National Park was filed today by Sierra Club, Natural Resources Defense Council (NRDC), the National Parks Conservation Association (NPCA), Grand Canyon Trust, Utah Physicians for a Healthy Environment and WildEarth Guardians. The organizations filed a National Environmental Policy Act (NEPA) challenge to the recent approval of the expanded mine, which would extract millions of tons of coal and exacerbate climate change impacts including air pollution and other threats. In August of 2018, the Bureau of Land Management (BLM) approved an environmental report that allows Alton to expand its mine onto 2,114 acres of public land to extract more than 30 million tons of coal. The complaint argues that BLM failed to analyze the impacts of mercury pollution from burning coal, did not consider the enormous social costs of increased carbon emissions, and refused to take a broader, more cumulative look at the climate impacts of this project as is required under NEPA. 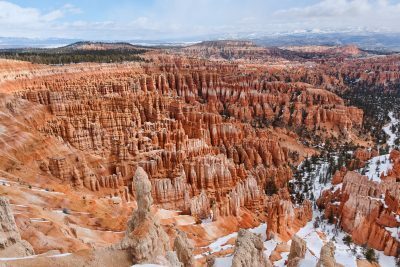 In addition to the pollution and climate impacts, this coal mine expansion threatens the natural resources and visitor experience at nearby iconic Bryce Canyon National Park. Even further, the BLM itself acknowledges that the expansion is likely to have a negative effect on North America’s southernmost population of Greater Sage Grouse. “The approval of this coal mine expansion also comes at a time when Utahns are demanding a shift toward a new clean energy economy. Salt Lake City, Moab, Park City and Summit County all committed to 100% clean energy goals, and the state’s rooftop solar industry continues to boom. The Trump Administration ignored these factors as well as the more than 280,000 public comments filed in opposition to the proposal,” said Jeremy Nichols, Climate and Energy Program Director at WildEarth Guardians.